The Verbatim Store 'n' Go SuperSpeed 2 TB USB 3.0 Portable Hard Drive - Black features high performance storage using a USB 3.0 “SuperSpeed” interface, yet it is backwards compatible to any USB 2.0 ports on your PC or notebook. USB 3.0 offers up to 10 times faster data transfer rates than USB 2.0 (based on USB bus speed) providing ultra fast data transfer on the go. The hard drive requires no external power for operation; simply plug and play. 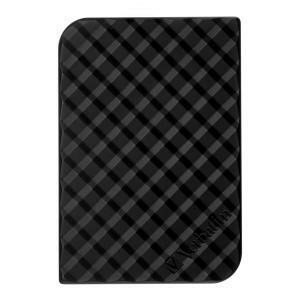 Store and carry your digital and day to day working files on this truly mobile drive. Its stylish design sits neatly on the modern desk top as the perfect accompaniment to your laptop. The Verbatim Store 'n' Go SuperSpeed Portable Hard Drive is formatted in FAT32, enabling you to use it on Windows OS and Mac OS systems.